Playful polka dots cheer up this signature convertible design from ZAC Zac Posen. 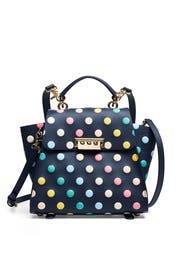 Navy parisian nights calfskin satchel with multi polka dot accents. 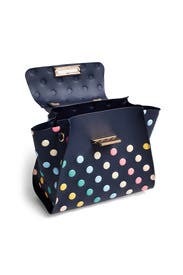 Option to convert into a backpack. Flaplock closure and interior back-wall slip pocket. 11"L x 8.5"H x 6"D.